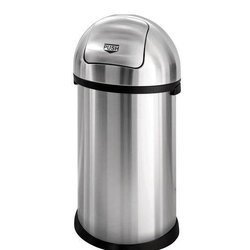 Leading Manufacturer of color coded duo dustbin, stainless steel trio dustbin, orchids frp duo dustbins and color coded trio dustbin from Mumbai. 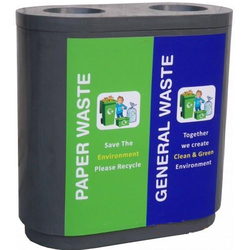 We are manufacturer & trader of Color Coded Duo Dustbin. 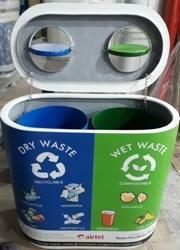 Duo bin Capacity 120 ltr . 1. SS 304 Grade Steel. 3. Inner Bin Made of 202 Steel Grade. 4. Lead Mode of SS 202. 5. Size : W400 X L1200 X H800. 7. Swing Dia 8 inch. 1. Capacity 60 ltr x 2. 2. Size: - L 32 inch * B 16 inch * H32 inch. 3. Weight= 20 kg approx. 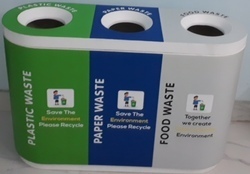 We are manufacturer & trader of Color Coded Trio Dustbin. Trio Bin.Capacity 180 ltr.L = 47" approx. B = 16" approx.H = 32" approx. Looking for Color Coded Dustbin ?